Crane Drop EE5301 has been best bought by a leading consumer reporting magazine. It is ultrasonic cool mist humidifier and can cover spaces up to 50 square feet (23 square meters). Crane Drop EE5301 has a great 2.3 gallons (8.7 liters) of moisture output per day. Crane Drop EE5301 has a compact round shape design. 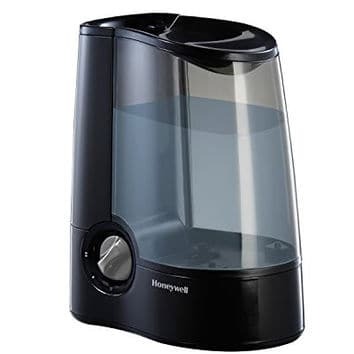 It has a transparent glass, so you can easily see the water level inside. Also, Crane Drop EE5301 has several great color styles to choose from – yellow, blue, pink, orange etc. The size is very small, only 14.2 by 9.8 inches (36x25cm) and weight are only 5 pounds (2.3 kg). Very easy to carry around and place it everywhere – on the table, or countertop, or in any other places. 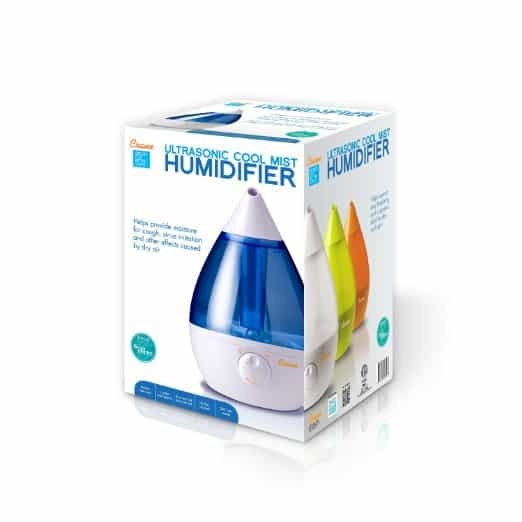 This small and compact ultrasonic humidifier has some great features. One of the best is Automatic Shutoff. 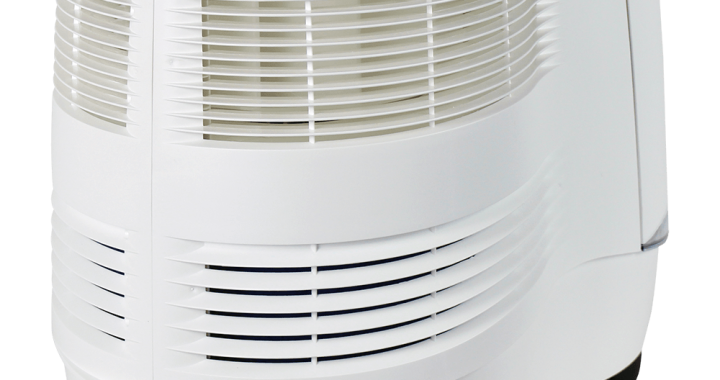 An automatic shutoff sensor shuts off the unit when it goes out of the water to protect toward overheating. The unit controls with the variable control knob. Very simple but effective. 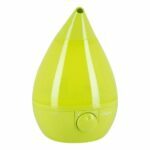 360-degree mist nozzle is great to point mist right where you need it. The Crane humidifier makes a low steady hum noise. In most of the time, you will not hear it, the other sounds around are louder. Crane Drop EE5301 is pretty easy to set up. Take off the tank, fill it with the water and that’s it. 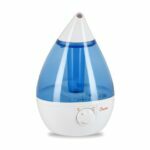 It is recommended to use distilled or filtered water. 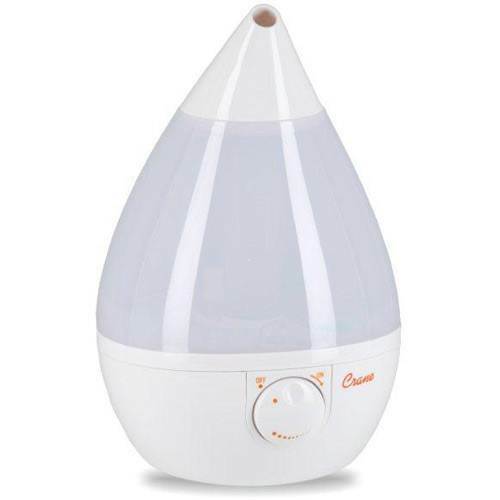 Crane recommends cleaning humidifier every week. 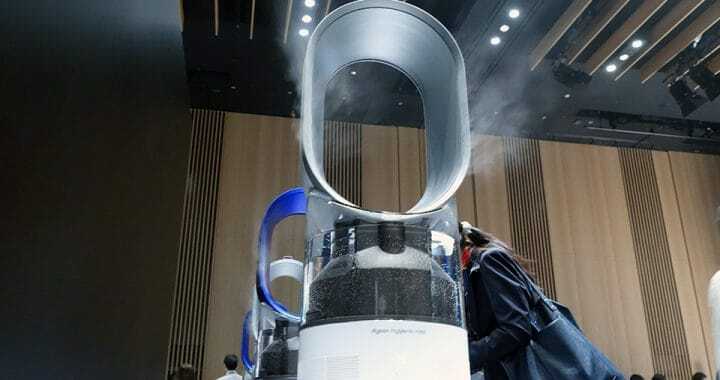 The tank size is quite ok, but still not enough. You will need to refill it few times a day. Crane Drop EE5301 is good for small rooms, it has a unique, attractive look, it is easy to fill it, it has a very detailed and helpful instruction manual etc. Overall this is a good purchase. 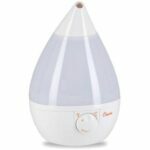 Posted in Humidifier Reviews, Reviews and tagged Cool mist, Crane, Humidifier, Humidifier review, ultrasonic humidifier.